Clarks tizz ace bl girl's mary jane school shoe. A simple but classic design with a patent toe and patent scalloped edge detailing. 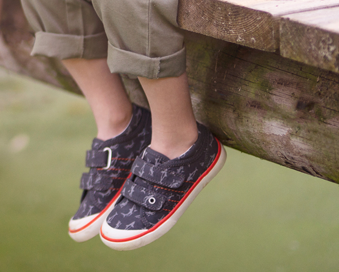 A velcro fastening allows for adjustability and a secure fit while the padded collars and insole provides comfort. 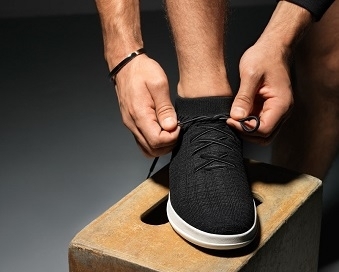 agions antibacterial linings help keep feet fresh throughout the day. 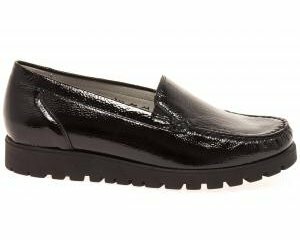 clarks tizz ace bl is available in black/black patent from a size 3-8, e, f, g and h width fittings.